At least not for being young women and mothers and terminally ill with cervical cancer. Because a system that was supposed to protect them let them down very badly. Their bravery and courage are in sharp contrast to the abject failings of the State agencies charged with protecting our health. It is chilling to think of the silent death toll that would have continued to rise unchecked had Vicky Phelan not been so brave. There is something rotten at the heart of our health system. It’s a reluctance to own up to mistakes – a fear of being sued. This is corrosive and unless and until it changes, nothing will change and we will continue to have more Vicky Phelans and Irene Teaps and Emma Mhic Mhathúnas. As a lawyer it also pains me to say that the legal system we have in place to deal with medical negligence cases is structurally unfit for purpose. I have to work with this system every day. I sit with clients who have been traumatised by the clinical failings of their doctors; a trauma that is made worse by the manner in which they are treated by hospital management when they seek answers and by the manner in which the State defends their case. This trauma goes on for years. Mediation, rather than the gladiatorial arena of the court room is the way forward for medical negligence actions and gives all parties the opportunity to reach a settlement in a much less hostile environment. As I think of these women this week I am reminded of my clients who have suffered themselves or lost their loved ones – babies, young women, young fathers and grandparents – through medical negligence and who were treated appallingly by the State. I have had cases which were so clear-cut in terms of negligence that I forwarded my experts’ reports to the State at a very early stage to avoid protracted litigation only to be met with a full defence and then settlement talks on the morning of the hearing of the case. This “defending the indefensible” cannot continue. It’s unconscionable. The State Claims Agency has said that they will not prosecute cases of a similar nature to Vicky’s. Why is that? Why did they defend Vicky Phelan’s case? Why insist on a gagging clause up front when negotiating a settlement? Thankfully the truth has come about the shortcomings in the screening of cervical cancer but we came very close to it lying buried forever. Vicky has done the women of this country a huge service with her bravery. We need the medical profession and the State agencies such as the State Claims Agency which manages medical negligence claims on behalf of the State to undergo a real and meaningful change in their approach to clinical errors. Mandatory disclosure of these errors is the only credible way forward and our politicians must show real courage in withstanding vested interests and put this approach on a legislative footing. My fear is that with the passage of time, memories will fade and we will slowly settle back into the couch of complacency. Vicky Phelan is a remarkable woman whose courage has given us the opportunity to finally put the patient and their families at the heart of our health system and to treat citizens who bring cases as human beings rather than an inconvenience. We owe her that much at the very least. 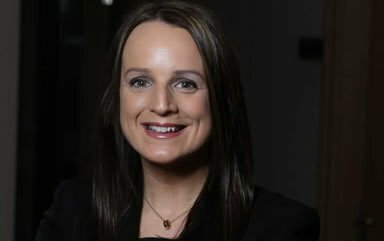 Niamh Ni Mhurchu is a Partner in Callan Tansey solicitors.